How Should Barnes and Noble Fix Nook Software? You are here: Home / Barnes and Noble Nook / How Should Barnes and Noble Fix Nook Software? 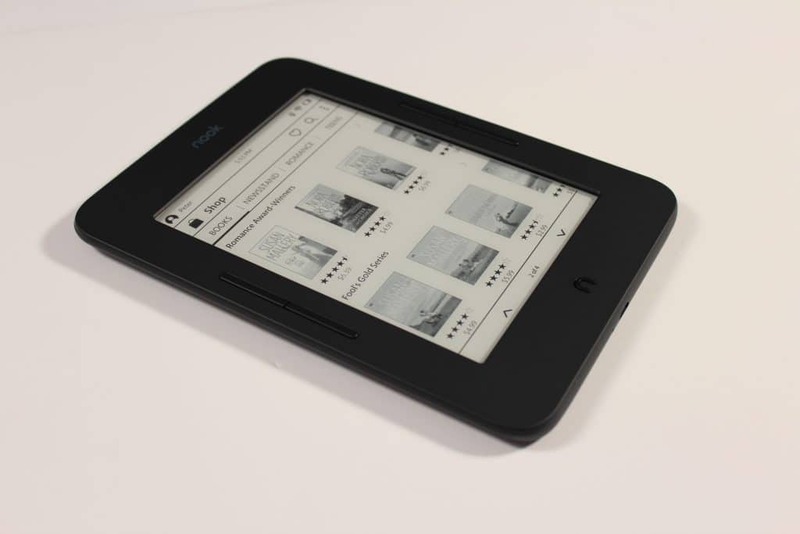 Barnes and Noble released their first e-ink reader in over two years with the advent of the Nook Glowlight 3. This device has a number of innovative features such as page turn buttons that can skip ahead a chapter with a double tap or rapidly turn the pages of an e-book by holding it down. It also the first Nook to incorporate a comfortlight system that mutes the white screen and turns it orange. This e-reader makes a lot of sense, but the software side of things is lacking. How would you fix the Nook? Barnes and Noble outsourced Nook development to an Indian company, that has offices in California. They are actively developing and refining Nook software and are apparently listening to the most fervent supporters. In April 2012 B&N split their Nook e-reader into a dual partition system that limited sideloaded content to 512MB, out of the 4GB that was available. The rest of the storage was only for ebooks and other digital content that users purchased from the online store. In January 2018 developers issued a firmware update for all Nook users, that disabled the dual partition system and incorporated into a single one, this now allows users to sideload as much content as they want. This not only includes their personal ebook collection, but also ones from the public library and also PDF files. If you could tell the Nook developers a few things to fix, it might go a long way to making Nook relevant again. Do you want to customize your own screensaver or display a picture of the cover art of the book you are reading when it is in sleep mode? An internet browser? Better social media integration? I think it’s a great device. It’s just lags to much honestly!! faster …. more responsive. overdive and libby native apps for renting books from the library. bluetooth with ability to play audiobooks in mp3 format so that you can rent audiobooks from the library and play them on the device (the new kindle oasis cannot currently do this). something beyond wikipedia integration — for example when you are reading about a certain location or historical monument / location it would be nice to highlight the word and have it show the image of it (i guess pulled from wikipedia??). Their stock price is now at 20+ year lows and is cratering as the stock market reaches new heights. This is a company headed out of business and the last thing on their minds now is fixing the Nook. Or at least it should be. Barnes & Noble is a dead company walking. I’m a loyal Nook fan, I’ve had almost every version. I honestly think they need to take a page from KOBO and go LARGER. Same features as current Nook Glowlight 3 but at 7.8 inches or so. Any added features and it becomes a Tablet which they already sell. But a dedicated eReader in a larger size would set them apart from Amazon. Just my two cents. I gave up on the Nook years ago. Inaccurate page numbers (if you’re going to repeat page numbers, then you might as well just have location numbers like the Kindle), difficulty knowing how long the book actually is/how much you have left of it, and the whole device is kinda clunky. I agree with John Smith, though. It seems like their problems extend further than the Nook. They might want to scrap it and work on their business model. 1. A quicker device. I would be willing to (and already do) pay $200 for a good e-reader with a snappy processor. The book reading itself is fine, but the clunky interface is trouble. 2. Bluetooth and audio book support. Incorporate nook audio books into the same app as the e-reader app. Kobo already does this an having everything in one place is generally better. 3. Better navigation in books. It should be easy to implement an indicator for how long the book is (hours of reading) and how far you are into it (percentage complete). The current page numbers are often difficult to use when judging how far you have left in a book. I have a Nook simple touch. I love the design, but I borrow library books mostly. I got tired of plugging in to sideload books. I started using the Kindle on my phone and then bought a Kindle e reader. I like it’s sync abilities but not so much the physical design. It’s grip is not as good and I liked the buttons on the Nook. If I could have the Nook with wireless sync like Kindle it would be great! Sadly discussing improvements we want to see in the Nook seems fruitless for it feels lime B&N do not listen to their customers and what they want. Changing the partition is the first time I seen the company listen to us. Remember when Nook Tablets had that hole in the corner? That was a design fail. I think that adding a note export function is crucial. It would also make people more reassured that there highlights would be safe should Barnes and Noble sell the Nook platform. When they ended sales in the UK even though the accounts were bought by Sainsbury, I imagine people lost all of their highlights. All devices should come with Pocket. All of them, yours too Amazon. Kobo owners know how good it is. The Nook’s market share problem isn’t fixable with just changes to the software. It’s the hardware too. Change one without changing the other and they’re still not going to actually compete with Amazon. The Nook doesn’t do enough to stand out from the Kindle line of ereaders. B&N needs to learn something that Microsoft may have learned and put into the development of the rumored “Andromeda phone that they’re not calling a phone.” B&N should add stylus and note taking support to the Nook. Right now that market belongs to LCD tablets like the Surface and the epaper/e-ink devices from Sony, Onyx and the ReMarkable. All of those devices are much more expensive than the Nook. A lower cost 7-9” device would IMO actually sell quite well. I keep reading this “larger screen now!” sentiment in ebook blogs, and personally I agree with it, but I wonder if there’s actually a business case to be made. The Kindle DX failed twice. Has the market really changed since the last time Amazon killed that device? I’m not sure this would drive sales all that much, although it’s a feature that would be of interest to me personally. In the 10 years since they started selling the original Kindle, Amazon hasn’t made it much easier to export highlights. There’s a few individuals who have created ways to do it using the web but the device itself doesn’t integrate with services like Evernote or OneNote. Because of Spectre and Meltdown, Amazon’s servers are just as vulnerable as B&N’s and because an increasing chunk of revenue is from AWS, Amazon’s business is vulnerable too, although corporation doesn’t have to go bankrupt for us to lose our Kindle highlights. Pocket is an app where users can “send” content from the web that they want to read. It’s similar to the clipping feature in OneNote and Evernote. I don’t disagree but the Kindle DX was a whopping 9.7 inches. I’m suggesting something like the current KOBO around 7.8, that seems like it would be a happy medium. Again, just my two cents. I’ve head Simple Touch with Glowlight, GlowlightPlus, and now Glowlight 3. Here’s what would make me buy another Nook: 1) a slightly bigger screen 2) more fonts; bring Helvetica back! It was my favorite and it’s been gone in the last several models. 3) Currently, the option for Boldness in fonts is not adequate. There is “Thicker”, but nothing seems bold enough. I would like more control over boldness, similar to Kindle Oasis 2. Oh, yeah, and the buttons! Keep the buttons. I almost never used GlowlightPlus. I hope they don’t come up with an Audio feature. Smartphones are so much more convenient for that. And I don’t care about PDFs. For the more serious stuff, I use a tablet. Ability to send files to the device without a wired connection and smooth integration with Pocket and Overdrive/Libby are highest on my list. I also wish that I could add a translation dictionary (or any custom dictionary). It’s a phone app and chrome / edge extension that will send only the article content to get your device. Kobo has Pocket on it’s devices from the factory. It can be downloaded on phones and Fires, and there are a few services that can send pocket articles to Kindles. You know you can email notes and highlights taken on a Kindle right? Some people use their e-readers that way. Half of my reading is for web development work and taking notes is a nice way to keep what you need.